Now this started with the one Madera corner die. 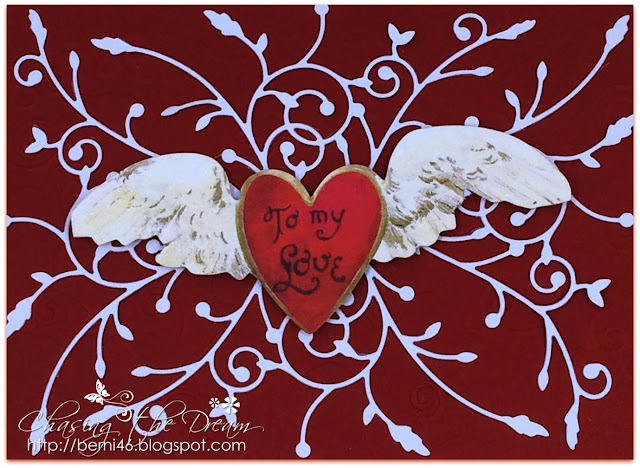 Then I decided to cute three more of this die and created this center piece on spellbinder M-Bossalities embossing with a wing of love sentiment in the middle. Did you ever think you could created with just one Madera corner?? What a lovely card Berni! The heart with wings is awesome and the Madera corner makes a great flourish for the background. You totally rocked this! 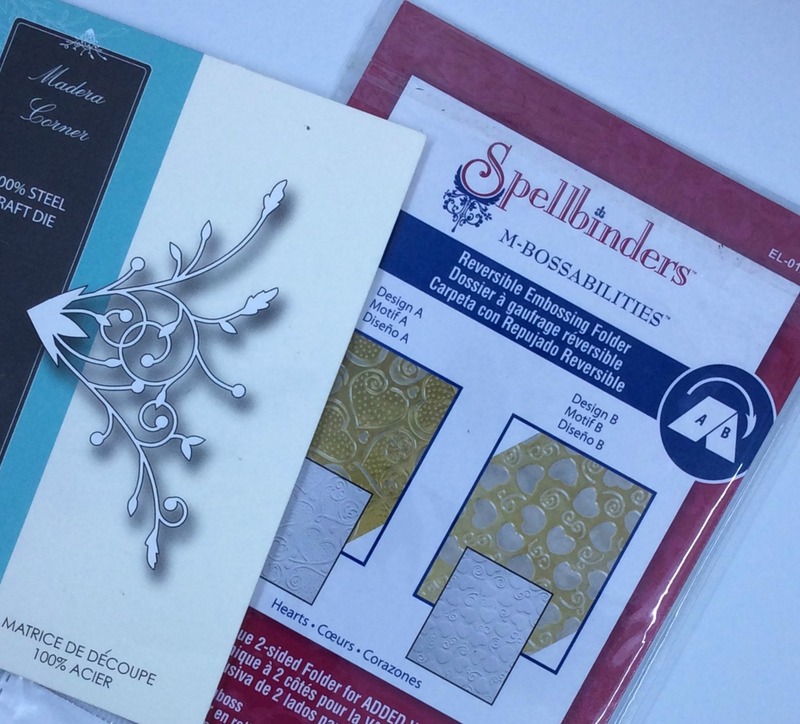 Love the Madeira corner background, such a great idea! Beautiful creation Berni! I have that Madera corner but never thought to use it like this! Thanks for inspiration! Well done! I love how this turned out, I had the same idea but hadn't tried it yet, so excited to give mine a try now and see how it turns out looking! !